What does Iacopo mean, details, origin, short & easy attributes? Origin of the name Jacob: From the Ecclesiastic Late Latin Iacobus, which is from the Greek Iakōbos, a name derived from the Hebrew Yaakov. Iacopo is baby boy name mainly popular in Christian religion and its main origin is . Iacopo name meanings is Seizing by the heel, supplanting. Other similar sounding names can be Jacob. Popular personalities with Iacopo Name. 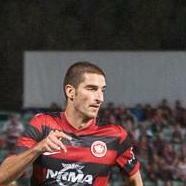 Iacopo La Rocca is a soccer player for the F.C. Pro Vercelli 1892, S.S. Chieti Calcio, Fermana F.C., S.E.F. Torres 1903, AC Bellinzona, and Grasshopper Club Zurich. Iacopo was born on February 17th, 1984 in Rome. Iacopo Balestri is a soccer player for the U.S. Salernitana 1919, A.C. Pisa 1909, Montevarchi Calcio Aquila 1902, Modena F.C., A.S.D. Reggio Calabria, Torino F.C., and Mantova F.C. Iacopo was born on June 21st, 1975 in Pisa. Iacopo was born on April 28th, 1921. Iacopo is also known as Barsotti and Jacopo. He passed away on October 27th, 1987. Iacopo was born in 1422. He died on March 22nd, 1474. Iacopo was born in 1395 in Cremona. 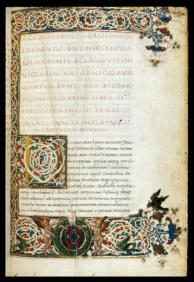 Iacopo is also known as Iacobus Cremonensis, Iacopo Cassiani, and Giacomo da Cremona. He breathed his last breath in 1454.